We are on the road again! It’s my favorite place to be and I certainly want to savor this fairly short trip because it basically marks the end of my travels in America. Not because I don’t want to travel here anymore, but because this trip includes the last attractions in America that I feel are must-sees. In addition, this trip will complete visits to the entire 50 states for both Lee and I. We can finally check this item off on our bucket lists! Today we drove from Chicago to Milwaukee, a short trip of less than 90 miles. 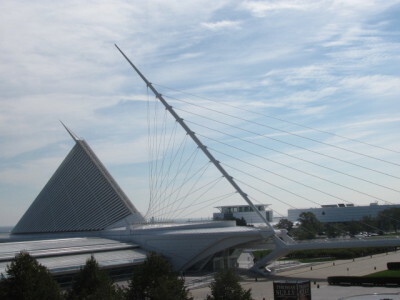 We immediately drove downtown to do my Walking Tour of Milwaukee. 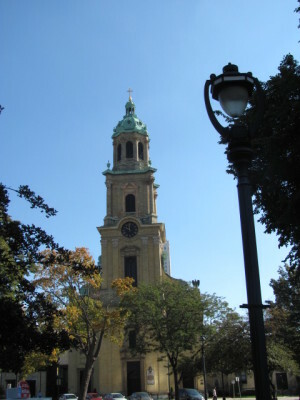 We started at the Cathedral, which sits prominently on a square just a few blocks from the lakefront. 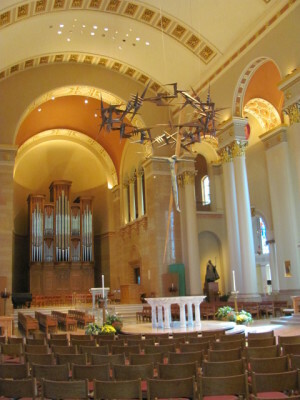 The inside of the Cathedral was extremely distinctive with a very evocative Christ on the cross below a large Crown of Thorns. Next we walked to the lakefront to see the city’s iconic, new Museum of Art. 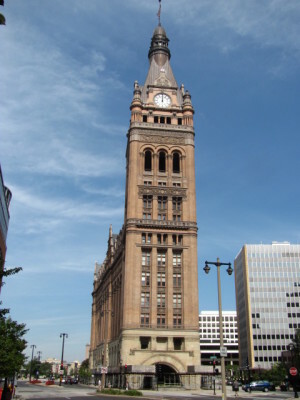 Just west of the Cathedral is the Milwaukee City Hall, once (1895-1899) the tallest building in the world. The Milwaukee river cuts through the downtown and it has been beautified to attract tourists and restaurant-goers. 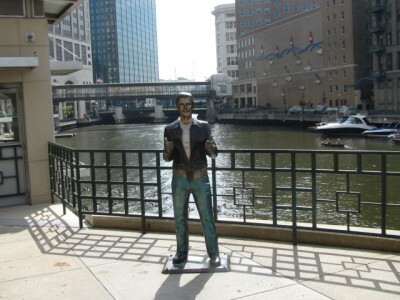 The Riverwalk features a statue of Fonzie, “the Bronze Fonz,” reminiscent of the TV series Happy Days. 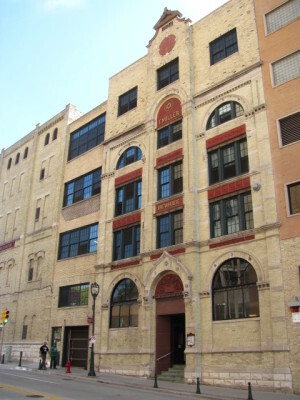 Marquette University is located in downtown Milwaukee. 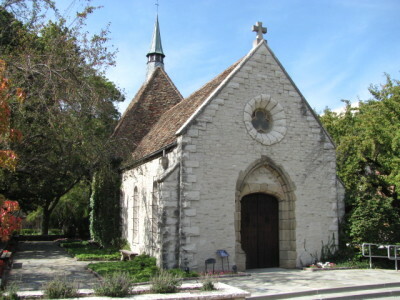 We went there next, to see the St Joan of Arc Chapel, a 16th century structure which was moved from its original home in France, to the Marquette campus in 1965. 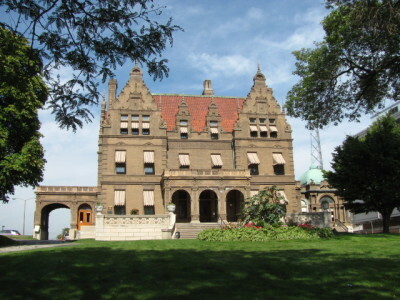 Next we went by the Pabst Mansion, former home of the beer pioneer. Our last stop in Milwaukee was the Miller Brewery where we participated in the free tour and tasting. What a bargain! 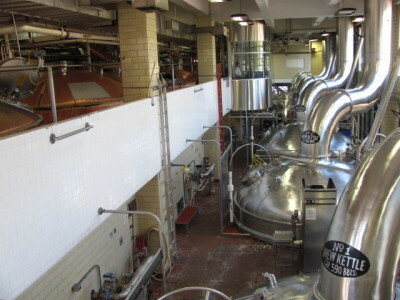 The well-orchestrated and interesting one-hour tour took us through the history of the Miller Company as well as the beer-making process. Our tour ended at the Beer Garden where we were able to sample three (3) different beers. What a perfectly fitting way to end our visit to Milwaukee. However, our evening was not totally complete. For dinner we found a positively enchanting restaurant in Brookfield, where our Hampton Inn is located. Parkside 23 grows its own vegetables on its farm next door. Everything we ate was incredibly delicious! This entry was posted in Trips and tagged World Travel US Travel. Bookmark the permalink.